Art has always been an important aspect of Moorestown. However, it is sometimes forgotten, and many arts groups in town work independently rather than collaboratively. 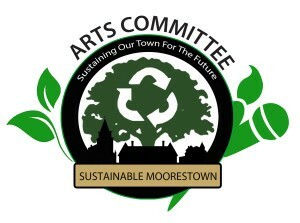 Sustainable Moorestown has taken on the duty to push the arts in Moorestown to the forefront by creating a subcommittee to represent the local arts population. 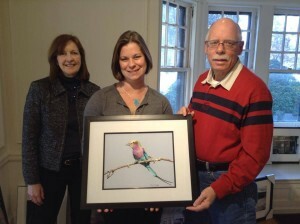 The Sustainable Moorestown Arts Committee, made up of various artists in the community, is there to give the arts population a voice in town and help that population grow stronger together. “We feel like Moorestown is a hidden New Hope. We have a tremendous arts population. We’d like to better identify what that community looks like and how we might support them going forward,” Sustainable Moorestown Chair Wolf Skacel said. Sustainability isn’t just about the environment. Being sustainable, according to Sustainable Jersey, is “empowering communities to build a better world for future generations.” This includes the arts. “There is a quote that really gets to the nut of why (SMAC) is so important to a community like Moorestown. ‘There is an emerging body of knowledge and a host of case studies that demonstrates tangible outcomes connecting with the arts and creativity to building stronger, economically vibrant communities.’ Ultimately, that is really what we are after, ensuring that Moorestown remains a strong and vibrant community,” Skacel said. The committee is made up of a variety of creatives representing a vast population of the arts community in town. Those individuals and their organizations are: Hala Al-Shawaf, artist and VP branch manager at PNC Bank in Moorestown; Candace Coleman, artist and MoorArts trustee; Diane Felcyn, associate director of Perkins Center for the Arts; Joe Galbraith, director of the Moorestown Library; Mark Morgan, producing artistic director of the Moorestown Theater Company; Toni Paparone, artist and Moorestown High School art teacher; Patricia Rowe, fine and performing arts/technology and business supervisor for Moorestown Township Public Schools; Skacel of Sustainable Moorestown; and Georgean Wardzinski, president of MoorArts. An interesting observation upon the first meeting was many of these individuals had never even met before, according to Skacel, despite being in the community for years. In creating the SMAC, these organizations will finally be able to collaborate with all art populations and create a stronger arts community with a collective voice in town. “I think that different organizations serve pockets of the creative community, but for a collective Moorestown arts committee voice, there is no one really doing that yet, especially for the individual arts professionals. So we thought this was the perfect opportunity for all of us to join together to support our people, who we all serve anyway, but now we’re doing it as a collective,” Felcyn said. Art is used very broadly in the SMAC. It includes everything from traditional art and music to graphic design and architecture. The term for a creative or an artist is broad as well, from someone who does it as a hobby to someone who has made a profession out of it. To get a better idea of the variety of art populations in town, as well as to see what those individuals would like to accomplish, the SMAC has created an online survey and will host a public meeting open to everyone. The survey, called Moorestown Creates, was created for an early census of the people in town who consider themselves a creative to identify needs and interests of what they would like to see happening in Moorestown and what the SMAC can do for them. The survey can be found at www.surveymonkey.com/r/MoorestownCreates. “The survey is still active, and we are asking anyone who considers themselves a creative person in the community to complete the survey so we can get an even more accurate understanding of who is here. We’re regularly reviewing the results to see what are the needs,” Felcyn said. SMAC’s public meeting will talk about the survey results and hopefully start a discussion to point SMAC in the direction of what needs to be accomplished for the arts community. The meeting will be in Town Hall at the Town Council Chambers on Feb. 24 at 7 p.m.
To learn more information about the SMAC and to RSVP for the public meeting, email SustainableMoorestown@moorestown.nj.us.